The future for the U.S. lamb industry is bright, according to Ohio sheep producer Jim Percival, current chair of the American Lamb Board. Percival said U.S. demand for lamb is growing by about two percent each year, and the export market to Japan recently opened up for the first time since the BSE scare several years ago. He said lamb is a diverse, premium protein that is also extremely lean. 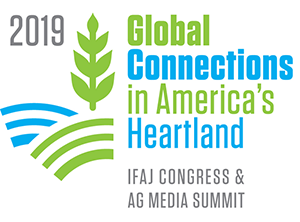 Percival participated in Trade Talk at the 2018 National Association of Farm Broadcasting Convention in Kansas City.